The 5 Love Languages, by Dr. Gary Chapman, teaches simple, powerful information that can bring joy to a typical marriage, or change the course of a struggling marriage. The book explains that every person experiences love through one (or sometimes a combination) of five “languages” – Words of Affirmation, Acts of Service, Receiving Gifts, Quality Time, or Physical Touch. 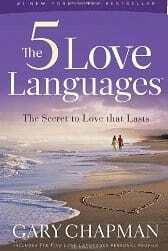 The 5 Love Languages website describes the languages, answers questions, and provides links to books and information. Understanding the 5 Love Languages presents a series of articles Dr. Chapman wrote for Focus on the Family online. The 5 Love Languages Quiz – This Beliefnet site includes a “widget” that lets you assess your love language. 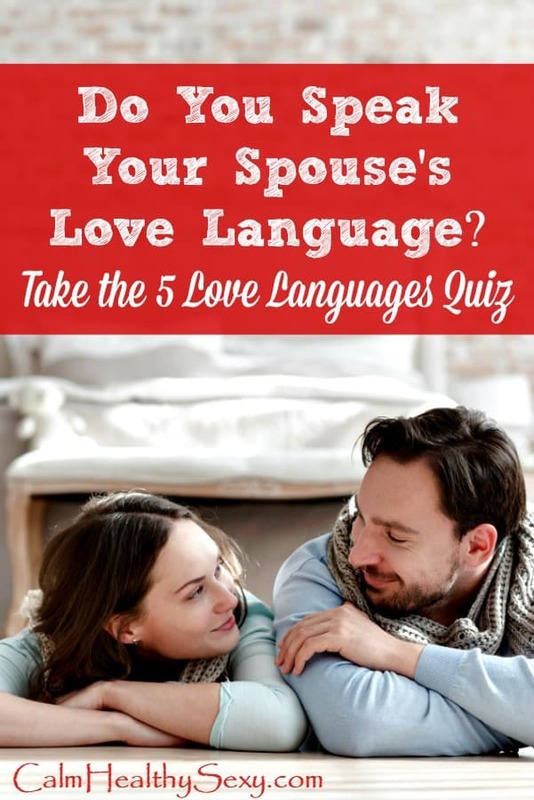 Although I recommend reading and completing the assessments in the book, the love languages quiz online tool provides a quick and easy way for you and your husband to identify your languages. Bonus SmallStep – If you already know your spouse’s love language, do two things this week that will speak love to him in his language. I know my husband’s love language (he actually has two that are almost equal), so this SmallStep will be my challenge to myself this week. Or skip to SmallStep #2 – Speak Your Husband’s Love Language. This article will help you learn how to “speak” each of the love languages, so that you can learn to show love to your husband in the way he can most easily receive it. 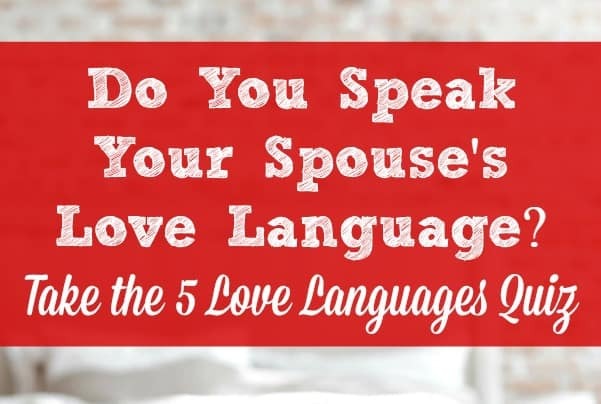 Have you used the concepts presented in The 5 Love Languages to strengthen your marriage? Please share your experiences or tips in the Comments – I would love to hear from you. We have been married more than 40 years. Took the quiz last year. His languages were words of affirmation and physical touch. Been working on speaking them more . Mine is quality time but my husband is unable to speak it. In the time department work and his customers come first. He says he loves me but my love tank is so empty that it is hard to believe. Hi Barb – I am so sorry; that is very painful. We cannot force our spouses to speak the language we need to hear, but if they can’t or won’t it leaves us feeling very empty. I hope that your husband will be able to hear and understand your need. Hi Gaye! This is Mai at the Happy Wives Club and Fawn wanted to make sure you saw the note that our Thursday link up party has now moved to Marriage Mondays – beginning today. We want to get all our favorite married bloggers linking up every Monday so we hope you’ll join us. Thank you, Mai. I saw that the link party had changed days and have already linked up. I’m excited about the new party and the great changes to the site. I know my husbands love language – words of affirmation. I don’t speak to him as often as I should in his love language. Thanks for this challenge. I’m glad you linked up at Romance on a dime!! Last year, I asked all the women of the Happy Wives Club to list the marriage books that have had the biggest impact on them and so many of them said The 5 Love Languages. I hadn’t read the book but i had a copy of it so I went online and took the assessment and so did Keith. We were pretty surprised because my love language is physical connection and his is words of admiration. I think in men and women that’s usually reversed (not sure, just guessing) but if gave me so much insight into how to better please my husband and I just loved that! Thanks Fawn. I think it’s so important to know our spouse’s language, because we naturally want to give love based on our own language. Thanks Alecia. I agree that showing love in the way that’s comfortable for us is the easy (and natural) way, while showing love in the way that’s best for our spouse takes work. I love your marriage blog. Thanks for stopping by. Thanks so much for this article. I’m at work so I’m bookmarking it to read it later. I have never heard of the book but I think we can all use a little bit of help with our relationships at times. I will have to check it out. Thanks for linking up to our Healthy Tuesdays Blog Hop, I hope you join us again soon with more great tips and ideas! Hi Monica – I’m so glad you found the blog. Hope you weren’t too disappointed by the lack of crafts – I am the least crafty person I know! Hope you’ll become a regular here. Thanks for this reminder of a great book and great way to express our love to our mates. I think this is a great time of year (and yes, I think every day should be special with our spouses) with Valentines just next week, to give something to our mates that he/she would really appreciate. My husband has a tie between two love language’s too–words of affirmation and physical touch. I have the hardest time with physical touch because I grew up in a very unaffectionate family. But I’m stretching and growing. 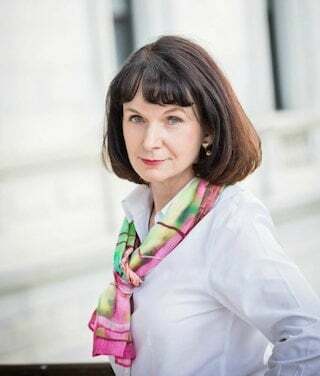 Thanks so much for always challenging us to a deeper relationship with our spouses, Gaye! Thank you, Beth. I was a little worried that everyone would already know about the book and already be “speaking” their spouse’s love language. But then I realized that I often forget to love my husband the way he best receives love – so I thought that others might be forgetting too! I love the information in that book! Thanks so much for stopping by. I am stopping by from the Heart + Home Link Up. I needed this reminder. My husband has been caring for me while I’ve been recovering from knee surgery and has done a wonderful job. It’s time for me, while still recovering, to make sure he knows how much I love him and appreciate him. His love language is physical touch & quality time. While I am no up for all that physical touch entails, I can still kiss him with passion. And we have been spending a lot of time together but I can make it more quality by being sweet and affectionate and holding my tongue in anger. Hi Leslie – Thanks so much for stopping by. What a great hubby you have to take such good care of you! I’m glad this post reminded you to take care of him by using his love language. Hmmmm…. never heard of it, but will be checking it out! Sounds very interesting! I love this book and have read it a couple of times with different relationships in mind. It’s amazing that once you identify what yours is and what theirs is things make so much more sense! Thanks for linking up with us at Medical Mondays. It does make a lot of sense, doesn’t it? And you can also see how people get into trouble in their marriages by trying to love their spouse using the wrong love language. Last February we had a fellowship at church where everyone in our small group took the quiz. It was amazing to learn about our fellow church members, and it’s continued to be a source of both fun, and encouragement in the last year. Hi Lori – Your mother-in-law’s statement brought a tear to my eye. Very sweet, but also a little sad. I love the idea of giving the book to engaged and just-married couples. My husband and I both have two that are about equal, and a third that is close.